During a knee replacement your whole existing knee joint is replaced with a new prosthetic knee joint. Why might I need a knee replacement? 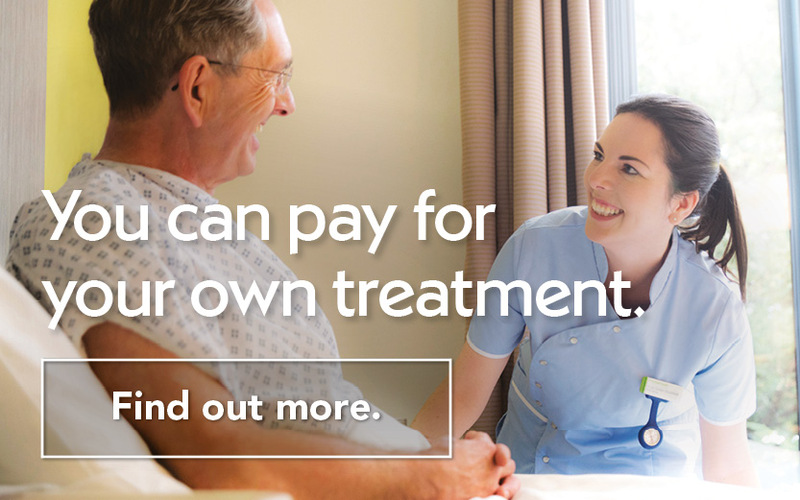 Did you know at Nuffield Health Hospital you can pay for your knee treatment, rather than waiting for treatment on the NHS? Click above to find out more. Over time, the surfaces on the knee joint can start to wear. This can be caused by arthritis (a group of conditions that cause damage to one or more joints) or a previous injury to the knee. Arthritis is painful as joints become stiff and inflamed when the smooth lining between the joints gets damaged or wears away. Without the protection of this lining, the rough surfaces of your bones rub together as you move, causing the pain that is all too common to sufferers. Simple everyday things like going for a walk or even getting dressed become difficult. There’s no cure for arthritis and it can get worse with time. However joints can be replaced successfully, improving mobility and reducing pain. 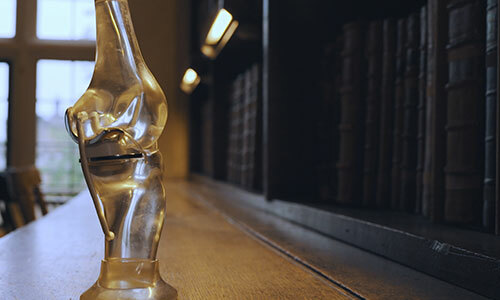 A knee replacement is a procedure to remove your damaged knee joint and replace it with an artificial one (a prosthesis or implant) – this is made out of metal, plastic or ceramic. Following surgery your knee should be much less painful and the joint should move more smoothly. New advances in technology offer a greater range of implant types and sizes. Your Nuffield Health surgeon will choose the implant that best fits your body size and lifestyle. In some cases a CT scan or MRI scan of your knee may be used to create special guides that will help your surgeon accurately fit your prosthesis. ✓ Usually, you will stay in hospital for 2-4 days, but you may have to stay longer if necessary. Once your operation is over, you’ll be taken to the recovery room where you will wake from the anaesthetic. Your wound, blood pressure and pulse will be checked carefully and you will have a large dressing covering your wound. You may have a small tube coming out of your wound, this is to drain away any excess fluid from the inside of the wound. You may also have a drip (infusion) going into your arm. This will keep you hydrated until you are able to drink, and it can also be used to give you pain relief. When you are stable and comfortable, a nurse will take you back to your room. We understand that you may be anxious or worried about getting up, but we will do all we can to help and reassure you as a member of our team will be there to help you, whenever you are ready. Getting you moving is to improve your circulation and avoid stiffness and once out of bed, you will continue to wear support stockings to help your circulation. You may be feeling tender and sore, but you can get pain relief medication to deal with any discomfort and to help you further, physiotherapists will work with you during your stay to help give you the best start with your new joint. At Nuffield Health we like to fully make sure you are ready to go home. We assess your condition and we believe that when you are able to walk up and down stairs, you can go home. Before leaving, you may need to have your stitches removed, then because you are still recovering you won’t be able to drive, so you will need someone to come and take you home from the hospital and you may have to still use crutches or a walker. After your operation we also like to make sure you have everything you need to recover and in time it’s usual to also return to see your Nuffield Health consultant as an outpatient after your operation. ✓ Our physiotherapist will give you some exercises to help get your new knee moving. It’s important to gradually increase your physical activity each day, so you should undertake the exercises the physiotherapist shows you. These will help to reduce stiffness and strengthen your legs and help you regain mobility. ✓ You’ll be given information about appointments before you are discharged. ✓ Pain relief medication provided to take with you. It’s recommended that you take any pain relief medication we have prescribed. Continue taking this until you are pain free. Everyone heals differently. Over the next six to twelve months you will continue to improve and your scar should fade to a thin white line. Depending on what type of job you do, you should be able to return to work within twelve weeks, and in doing so, you may also want to think about a phased return to work. After your follow-up visit with your surgeon you should be released to drive, but only if you can comfortably operate the pedals and control your car in all situations. If you are in any doubt about your insurance cover, it’s best to contact your insurance company. Most people make a good recovery and return to normal activities following knee replacement. As with any surgery there can be complications; Pain, bleeding, infection of the surgical site (incision), scarring, blood clots (DVT - deep vein thrombosis), difficulty passing urine, chest infection, heart attack and stroke. 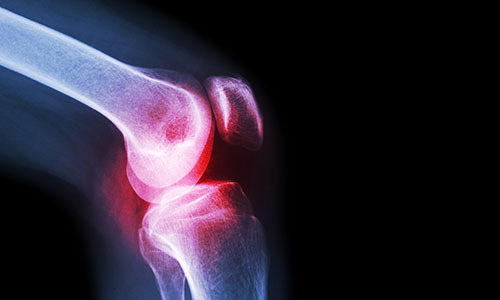 Risks specific to knee replacement surgery are; Numbness on the outside of the knee caused by a nerve being cut during surgery, stiffness - there may need to be further, minor surgery to improve this, pain when kneeling, bleeding around the joint - this usually settles but may need to be drained by a surgeon, fluid build-up around the joint, rejection of the prosthesis and infection in the joint.